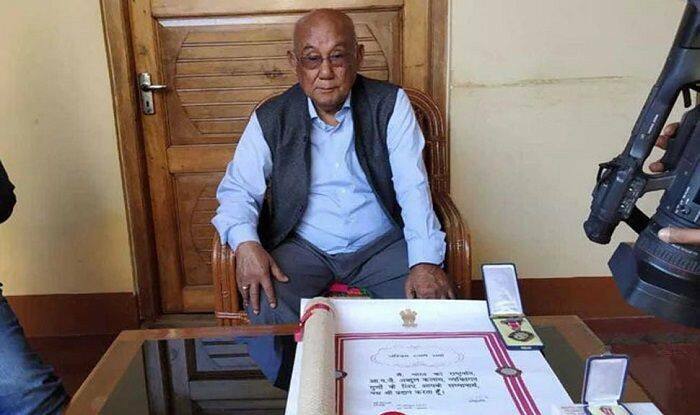 The filmmaker, known for films like "Ishanou", "Imagi Ningthem (My Son, My precious)"
New Delhi: Ace Manipuri filmmaker Aribam Shyam Sharma on Sunday returned the Padma Shri Award to protest against the Citizenship (Amendment) Bill, news agency ANI reported. Padma Shri is the fourth highest civilian award in India. Earlier in the day, BJP President Amit Shah had said that the controversial Citizenship (Amendment) Bill was “very necessary” and added that the government was working on building a consensus with stakeholders in the northeast. Addressing the media in the national capital, Shah had also said that the government had brought the bill after much thought and Home Minister Rajnath Singh was holding consultations with various people to address the opposition to the issue.